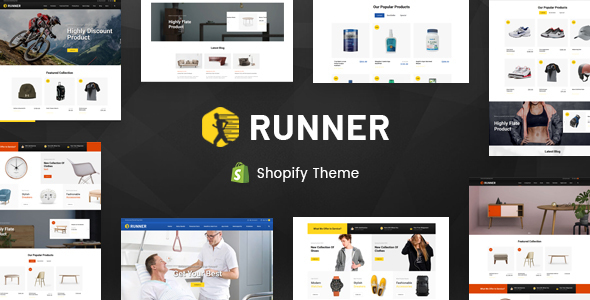 Runner Shopify Responsive Theme is specially designed for sports, gym, fitness, auto, auto spare parts, cars & bikes, medical, drugs, furniture, lighting, tools and Multipurpose stores. Runner Shopify Theme is looking good with colors combination and layout. All sub pages are customized. It is very nice with its clean and professional look.